olor will always be an important consideration when getting a new roof. One reason not to take it lightly is that new roofs are serious investment in time and money. Rogers Roofing offers three simple ways to help you pick the right color for your home. Following these will help to minimize the chances of making a mistake. Unity of design is a simple theme. Making your roofing in Evergreen Park, IL, match the rest of your home will be pleasing to the eye. One thing you want to avoid is to match these colors perfectly. A single color for everything comes off as gaudy. Look for a color on your home that stands out. 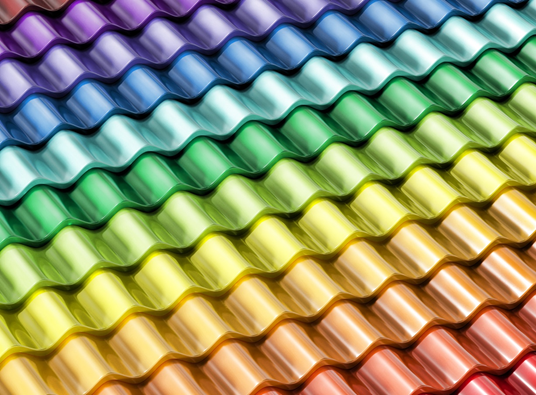 Match the color of your roof to this element to create a synchronized look. Not everyone likes matching colors, however, thinking that it’s a bit bland. If you’re one of those people, then you have the option to contrast. Contrasting still comes with a few rules because you want to avoid making too much of a difference. Consult the color wheel, then create a necessary contrast without being too hurtful on the eyes. A red-hued roof, for example, would match a lighter blue home. Whether you decide to contrast or match, it helps to test how colors look at different times of the day. What looks stunning in the morning might have a different effect in the afternoon. The easiest way to do this is to borrow color swatches of those shades you favor and put these up on four sides of your home. This lets you preview the differences in their looks before choosing your Hammond roofing. Rogers Roofing offers roofing systems in a wide range of materials. We carry everything from classic shingles all the way up to modern concrete tiles. Call us today at (219) 228-8210 and (773) 492-2270 and we’ll be happy to start you off with a free quote.